This goes to show there is no such thing as bad press. 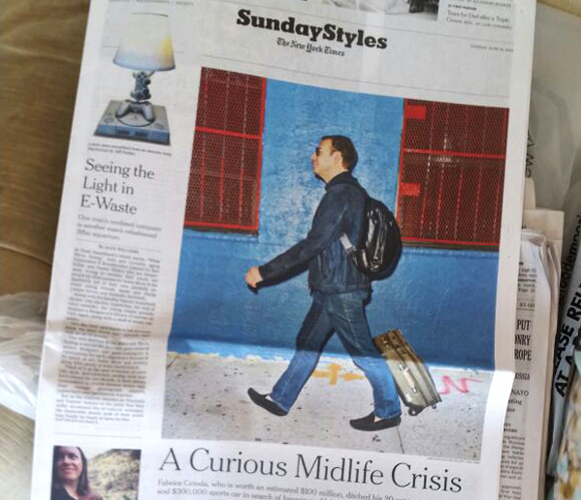 I made the cover of the New York Times Styles section last Sunday. If you want to understand what my lifestyle experiment was really about read The Very Big Downgrade and Update on the Very Big Downgrade. I will also write an update in the coming weeks describing what I have been up to in the Dominican Republic: Silicon Cabarete, funding local schools, building houses for my employees etc. For a time, he lived on a 20-acre estate in Bedford, N.Y., overseen by a butler whom he paid $50,000 a year, and he hosted grand parties for 60 guests or more. They swam in his pool, waged paintball wars in the woods and played padel tennis on his private court. With no family or boss to answer to, he was able to go skiing in Utah on a whim, working whenever he wanted to, as long as he had decent Wi-Fi and a robust cell signal. Sometimes, when he was restless, he would go for drives in his $300,000 McLaren sports car. On weekends he might crash at his $13,000-a-month Manhattan pied-à-terre near Madison Square Park. He booked late-night tables at chic restaurants and dined in the company of beautiful, intelligent women. But as he approached 40, Fabrice Grinda, a French technology entrepreneur with an estimated net worth of $100 million, couldn’t shake the feeling that something was terribly wrong. Somehow the trappings of his success were weighing him down. He was having a midlife crisis — in reverse. “People turn 40 and usually buy a shiny sports car,” Mr. Grinda said during an interview in a penthouse suite at Sixty LES, a downtown boutique hotel. “They don’t say, ‘I’m downsizing my life and giving up all my possessions to focus on experiences and friendships. But that is exactly what Mr. Grinda did. He moved out of the Bedford house in December 2012, ditched the city apartment and got rid of the McLaren. He donated clothes, sports equipment and kitchen utensils to the Church of St. Francis Xavier in Lower Manhattan. He gave his furniture to Housing Works and he packed a Tumi carry-on suitcase with 50 items, including two pairs of jeans, a bathing suit and 10 pairs of socks. He dubbed it “the very big downgrade”: He was going to travel the world, working on the fly while staying with friends and family. He was purposely arranging things so that he would have a chance to focus on what was meaningful in life. His first stop was Miami. Mr. Grinda stayed with a childhood friend, Olivier Brion, at the home he shared with his wife, Hélène, and their toddler. Soon after his arrival, there were problems. For one, there was the matter of Mr. Grinda’s bearing. “He is very loud when he talks,” Mr. Brion said. Mr. Grinda also wanted to play tennis after his friend got home from work, which left Mr. Brion hobbling and sore from their furious two-hour matches. There was also an issue with Mr. Grinda’s suitcase wardrobe. “My wife was doing his laundry,” Mr. Brion said. She also took on the chore of making his bed in their small guest room. Not only that, she rearranged their toddler’s schedule so that they could dine late, in keeping with Mr. Grinda’s usual habits. The visit lasted all of one week. Born in suburban Paris in 1974, Mr. Grinda graduated from Princeton in 1996 with a degree in economics. He worked as a consultant at McKinsey & Company for two years before moving back to France to found an online auction start-up funded by the business magnate Bernard Arnault, which Mr. Grinda sold in 2000. He returned to the United States, where he co-founded Zingy, a mobile phone ringtone and game maker, which fetched $80 million in a 2004 sale. After that, he was a founder of OLX, a Craigslist-like service that has become one of the largest global classified websites. Now he is an entrepreneur and angel investor, with more than 200 investments to date, who visits start-ups in Berlin, Paris, New York, San Francisco and other cities. Mr. Grinda, gregarious and quirky, was once a shy teenager who liked video games and tennis. He has two younger brothers and spent his boyhood summers in Nice. In his later years he became an avid kite-surfer. He looks (and acts) something like Sheldon Cooper, the oddball science geek played by Jim Parsons on “The Big Bang Theory,” an observation Mr. Grinda himself has made. “Friends, who knew me in my late teens and early twenties, would tell you I had exactly the same delusional sense of self-worth and condescending and arrogant self-centered worldview,” he wrote in a blog post that noted his similarities to the sitcom character. After his fiasco with the Brion family, Mr. Grinda tried his luck in Paris, staying at the apartment of a cousin, Cyril Lejeune, who is a banker. Mr. Grinda spent afternoons in the living room, tapping away at his computer between business calls, and his suitcase wardrobe again proved a problem. “He would not have enough clothes, so he’d borrow mine,” Mr. Lejeune said. It was a three-day visit. And while he was staying at his father’s house in Nice, he recalled, there was a night when his father’s girlfriend turned off the heat in the guest room where he was sleeping. Mr. Grinda has also crashed at the Miami vacation home of his mother, Sylviane Grinda. She said not much has changed since the days when she would visit him at Princeton and he would ask her to wash his underwear. Mr. Grinda did not stay with Ms. Anandasabapathy during his wanderings. But she knows him well, and it is not lost on her he has a tendency to empty his friends’ refrigerators when he stops by. “He’s eaten an entire bowl of lemons,” she said. 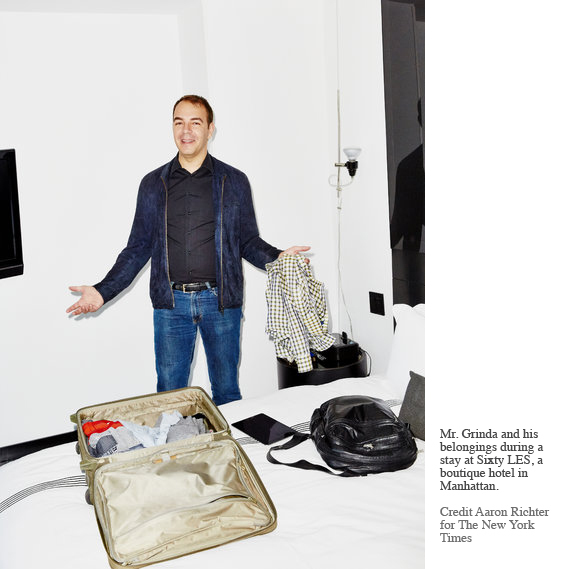 Once he realized his days as a roving houseguest were numbered, Mr. Grinda decided to shift his approach: He kept traveling, but now he was renting apartments on Airbnb or staying in luxury hotels. That posed problems, too. Occupancy rates are high in the cities where he worked for several weeks at a stretch, making it difficult for him to find rooms with the space and service he required. At one point, he said, he offered to pay for 100 nights upfront at the Mercer Hotel, the Trump SoHo and the Langham Place, and all three declined. There was also the issue of explaining his living arrangements to the women he dated. “They’d say, ‘Where do you live?’ ” Mr. Grinda said. He hatched a new plan: His friends and family members would come to him. He invited his parents, his friends, their partners, children and nannies for a two-week stay in Anguilla, an island east of Puerto Rico, where he rented two conjoining houses, at a cost of $240,000, with chefs and full house service (and a total of 19 bedrooms). But Mr. Grinda forgot to consider that not everyone lives as he does. For one thing, he had scheduled the Anguilla vacation during the school year, which meant friends with children couldn’t make it. The island’s remoteness, furthermore, meant some guests were forced to endure a tangle of flight connections, leaving some of them exhausted by the time they arrived. And many of the people he invited, who had jobs and other obligations, could stay only for a long weekend. After that setback, he settled on a compromise. Now, he holds two parties — at Christmas and during the summer — in Cabarete, Dominican Republic, where he recently became a resident (it has a low tax rate). The cost: About $25,000 per party, he said. 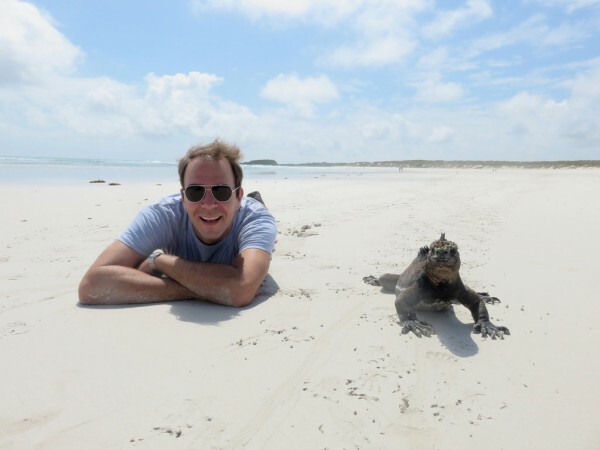 Last August he celebrated his 40th birthday there, surrounded by friends and family. Mr. Grinda said he has learned a lot from his very big downgrade. He reconnected with old friends, even if it meant annoying them a little, and he rekindled his relationship with his father. “We spent time talking about his life,” he said. And he is no longer against the idea of having a fixed address; he said he is now in negotiations to buy a two-bedroom apartment on the Lower East Side, which he plans to rent out when he is not in town. He recently split up with Otilia Aionesei, a former model who works at technology start-up, whom he had been dating, off and on, for two years. The sticking point was their lack of a shared home. Mr. Grinda looked around the living room of the hotel suite, spare with black and white furniture.